“Neal gets to bottom of your problem, and brings clear, concise and thorough plans to the table. He will be the first guys I contact when I need conversion help and I couldn’t recommend him any higher!” – Danny Mahon, Head of Marketing at Bgo.com & Previously Bwin bingo brands. “Neal worked with RGAx on the development of a new customer service and was a real asset in that process. He brought genuine insight and expertise to the group.” – Richard Verdin, Managing Director, RGA EMEA. Get a free consultation and let us help you grow your business by aligning your website or app with your business and customer goals. We tailor our services to what is important to you and your customers to maximise ROI. Get a digital marketing health check with our conversion optimisation audit to identify areas for improvement. Competitor analysis can help put your proposition in context. GTM variable and tag configuration. A Google Analytics audit and reporting to measure performance and make informed decisions. We use behavioural change techniques, such as loss aversion and social norms, to increase your conversion rate. Converson is key for both PPC and organic SEO campaigns. We are located in the North West of the UK between Wrexham and Chester, but work for organisations throughout the UK and Europe. For a Free introductory consultation contact us by email – info@conversion-uplift.co.uk or call us on +44 077649 51465. We understand the importance of setting targets for improving your conversion rate and so we deliver a return on your investment though a customer centric approach to digital marketing optimisation. Let us create high performing landing pages to boost lead generation or sales. Apply insights to optimise your sign up or check-out forms to increase conversions. We’ll conduct user research to evaluate usability and the overall customer experience. Get help with setting up and developing a programme of A/B testing. Don’t put up with a low conversion rate for a second longer – get a free initial consultation. 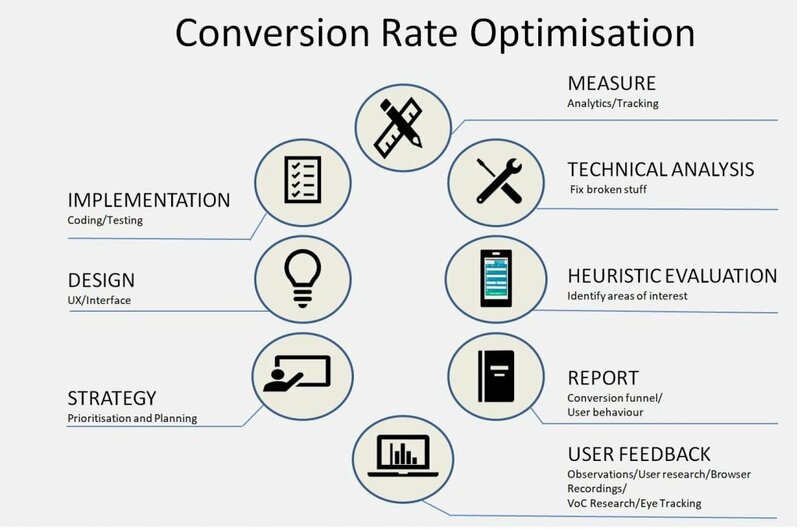 How does conversion optimisation work? We tailor every project to the client’s needs and priorities. We use a variety of techniques to improve your conversion rate, from web analytics, heuristic analysis (e.g. The Lift Model), usability testing, buyer personas and customer journey analysis. 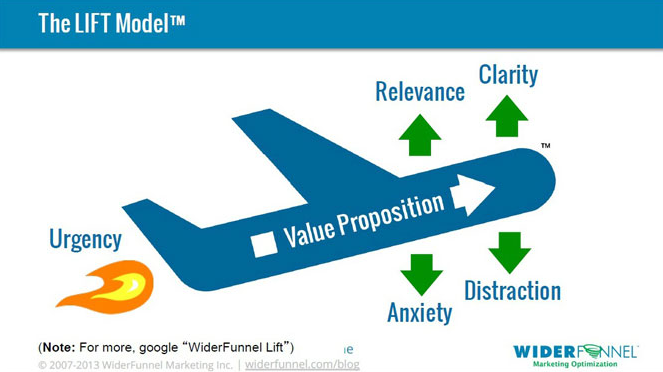 The Lift Model from Widerfunnel offers a simple but effective framework for evaluating websites and mobile apps. We use it extensively as it is easy for anyone to understand. There is no need to over-complicate conversion rate optimisation. Ready to make more money from your digital marketing?